The FLOW 9.6 FCI is the same as its GCI and DSC counterparts having kids or a smaller female paddler in mind. As with all FLOW FCI boards, it features a high quality, high density EVA wrapped deck and rails to protect the paddler as well as the board. 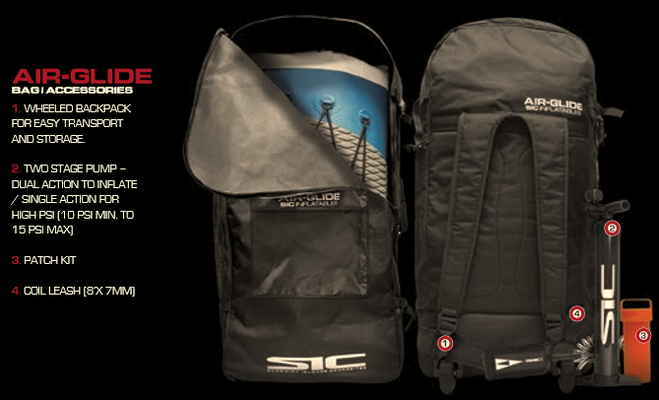 We finish it off with a layer of Innegra™ on the bottom and rails for added durability. If there is a yearbook award in 2016 for “Most Likeable”, then FLOW 10.6 is the Ferris Bueller of boards. 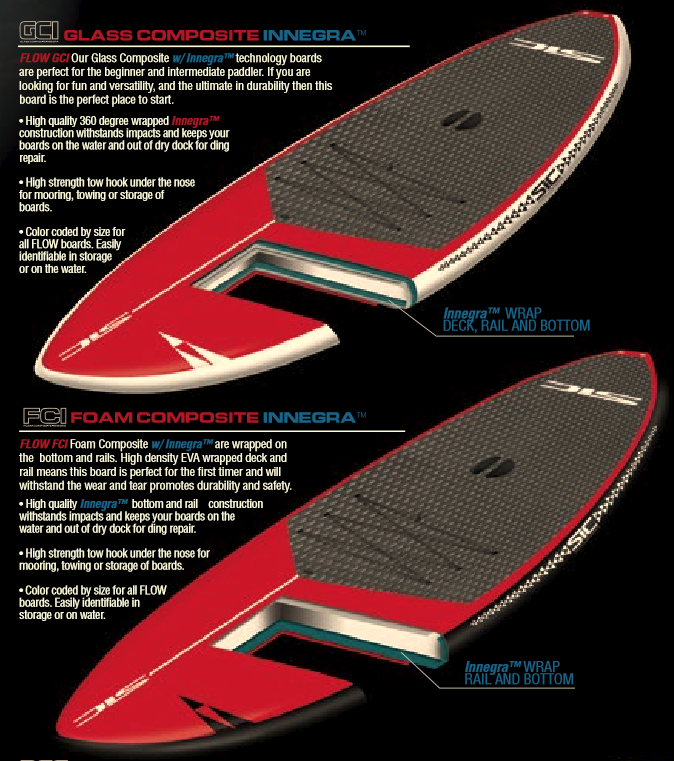 Along with the Flow 11.6, this 10.6 is one of the widest board in the line. 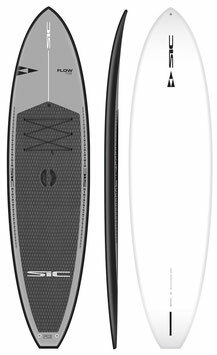 It is the go to board for anyone getting into SUP or if you tend to have a board that you like to share with the whole family. 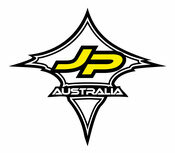 It is a wide stable platform that does not skimp on the performance. 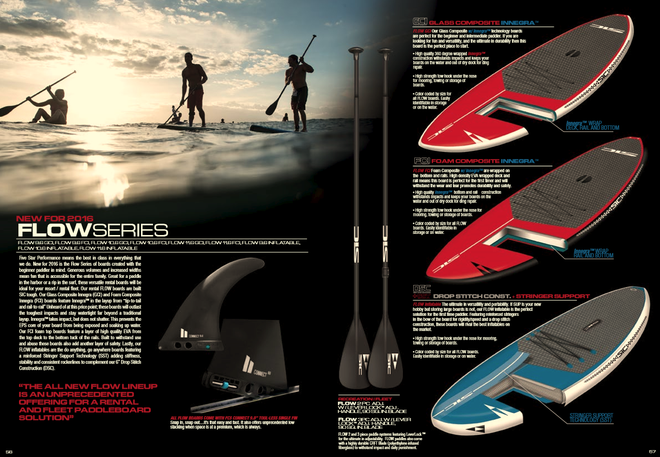 Process and puts you out on the water. The InnegraTM layup makes these boards the ultimate in durability. 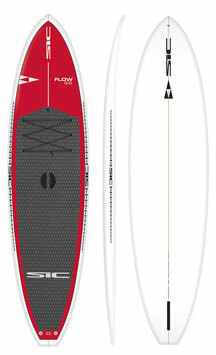 The FLOW 10.6 FCI is the brother to the GCI. This board provides unrivaled stability and performance for the beginner to advanced paddler. Like the rest of the FCI range, this board features a high quality, high density EVA wrapped deck and rails to protect the paddler as well as the board. 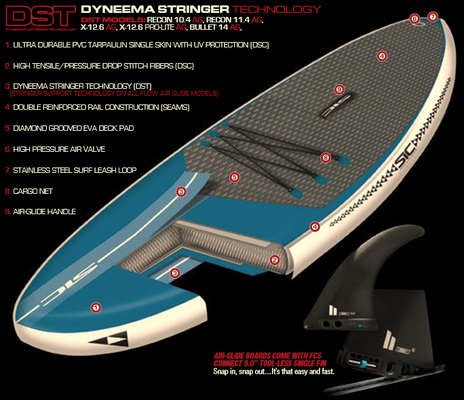 We finish it off with a layer of InnegraTM on the bot- tom and rails for added durability. At 209L of volume, the FLOW 11.6 is enough fun for one person, but that would be selfish, would it not? SUP should be shared, so go ahead... grab the dog and your third grader and hit the water. There is plenty of room on this pleasure cruiser. For the larger paddler or those with aspirations to race the surf class, this little gem gets it done. 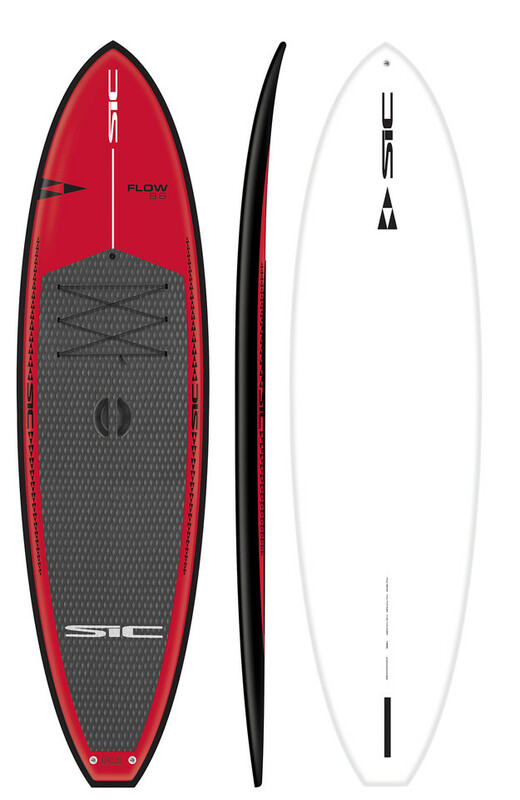 At 209L of volume, the FLOW 11.6 is enough fun for one person, but that would be selfish, would it not? SUP should be shared, so go ahead... grab the dog and your third grader and hit the water. There’s plenty of room on this pleasure cruiser. For the larger paddler or those with aspirations to race the surf class, this little gem gets it done. 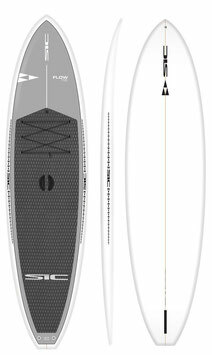 As with all FLOW FCI boards, it features a high quality, high density EVA wrapped deck and rails to protect the paddler as well as the board. We finish it off with a layer of Innegra™ on the bottom and rails for added durability.